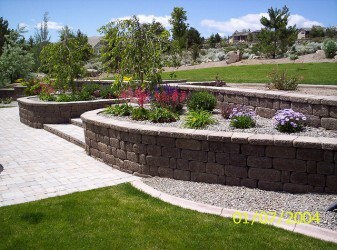 You can choose many ways to edge the flowerbeds and give finished appearance. Applying brick is a good option due to its sturdy construction and versatility. Brick pavers, however, are better option since they are denser and sturdier than standard bricks. 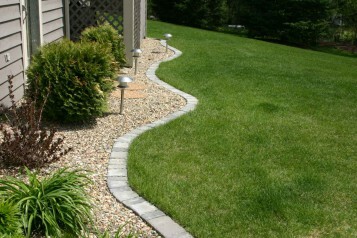 You can make elegant edging for formal gardens, but can also work well in a casual environment. 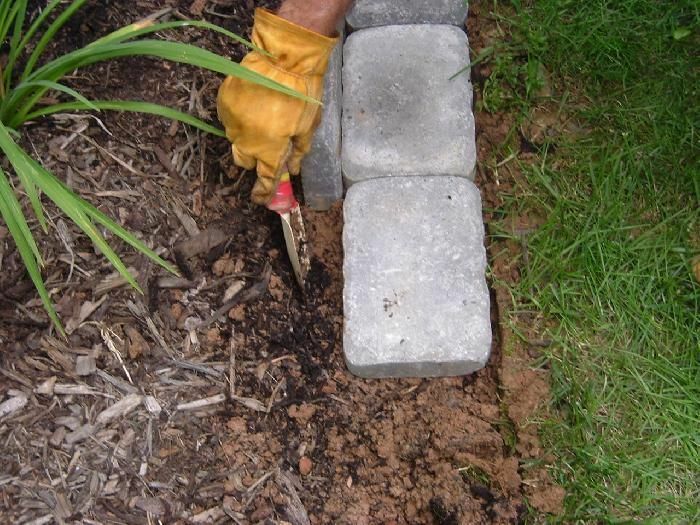 You can install the bricks above ground to create a slightly raised flowerbed or set the bricks at soil level to provide a clean mowing edge that does not require special weed trimming equipment. 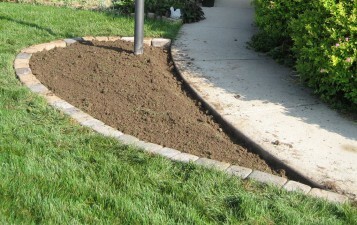 Alternatively, you can install soil level bricks accented with raised bricks in the background to elevate the flowerbed. Whatever arrangement you will choose, horizontal, vertical or diagonal or even paly with colours of brick pavers, you must know the steps of how use the brick pavers for edging flowerbeds. 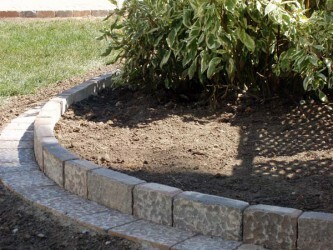 Follow these steps and tips for construction of brick pavers for edging flowerbeds. Outline the area for the border with a garden hose, and then transfer the outline to the ground with landscaping spray paint or flour. Provide about 6 inches of extra space for the trench width, whether you choose to make the trench as wide as the brick length or as wide as the brick width. Dig a trench along a flowerbed that allows enough room for 4 inches of base material and can accommodate the way you choose to lay the bricks; use a half-moon edging tool or spade to cut the trench. If you want to set the bricks at soil level, dig the trench as deep as the brick thickness plus 4 inches for the base material. You can set the bricks so they protrude from the ground, but you should bury at least 1 inch of the bricks to anchor them in place. 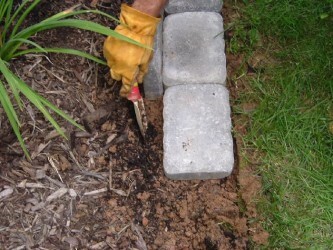 Add 2 inches of 1/4-minus gravel or crushed rock to the trench and pack it tightly with a hand tamper. Check for level and adjust the rocks to achieve as close to level as possible. 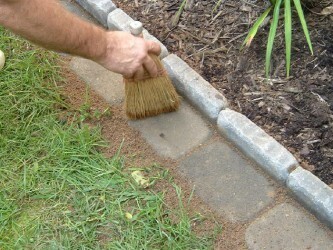 Cover the rocks with 2 inches of coarse masonry sand and spread the sand evenly to make a level base. Check the sand with a level and add or remove sand as needed to make the base level; the sand makes it easier to achieve level and provides a softer base than with gravel alone. Set the brick paver side-by-side in the trench, with as little space as possible between each paver. If you want wider edging for greater definition between garden spaces, lay the bricks so the length extends from the lawn to the flowerbed or path. 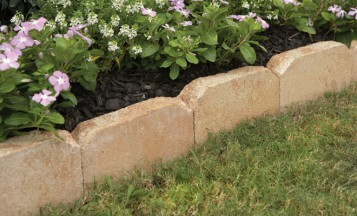 Line the outer edge of the brick paver row with plastic paver edging restraints to keep the bricks pushed tight against a hard patio, walkway or driveway, if applicable. Fill in the rest of the trench with native soil and pack the soil firmly by hand without causing compaction. 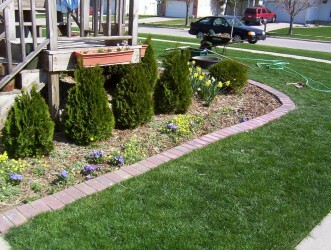 Drag mulch up against the paver edging when the edging lies along a flowerbed. 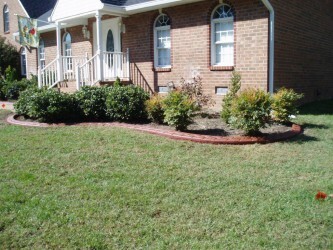 If the edging is raised, drag the mulch down from the flowerbed at an angle so it slopes gently toward the pavers.